← Kyle Mooney in the Padres clubhouse in his underwear? 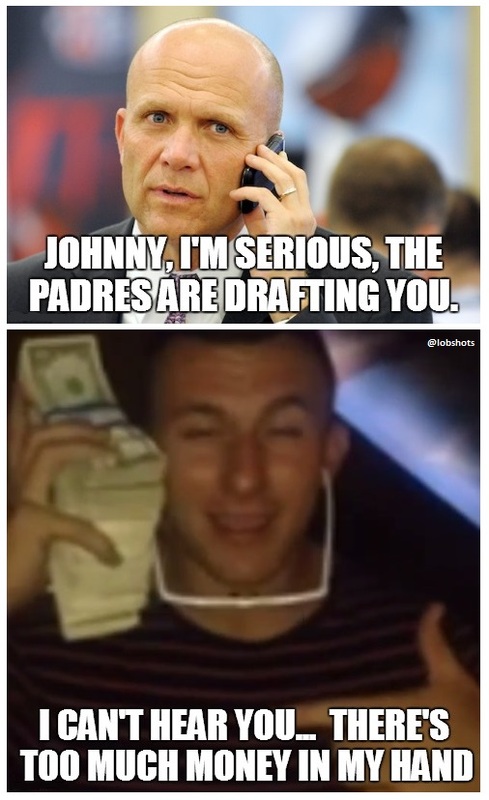 Nice to see that getting drafted by the Padres hasn’t changed Johhny Football. This entry was posted in Baseball, Football and tagged i can't hear you there's too much money in my hand, Johnny Football, Johnny Manziel, Padres. Bookmark the permalink.